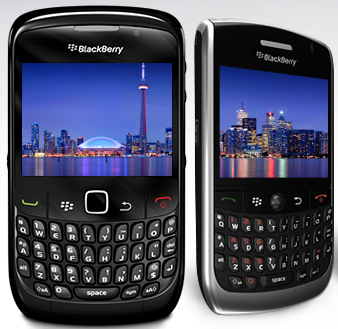 For those of you still rockin’ an old BlackBerry Curve 8900 or Curve 8520, good news! Today, Magenta has officially released BlackBerry OS 5.0.0.822 for both devices. The OS Upgrade is available online for download on T-Mobile’s site here. Honestly, I never thought I’d see another OS upgrade for the BlackBerry Curve 8900 but heck, better late than never right? Now all we need is OS 6.0 for the BlackBerry Bold 9700. Do let us know any changes you’ve noticed with the new OS in the comments! What the hell!? The moment I upgrade to a 9700 they want to go and release an 5.0 os upgrade for the 8900, I had been waiting for that for like ever! Ne who, I doesn’t matter because I love my 9700 and soon to be G2. I recently (as in 3 days ago) downloaded Desktop v6.0. Upon connecting my Curve 8900 to sync it, the Desktop sw informed me there was a device upgrade available. I donwloaded it an installed it. I just now confirmed that the version I have is 5.0.0.822. Before this update, I was looking towards upgrading to an Android device. Now that there’s some new life in my current device, I’m going to slow down my search for a new one. Most savy Blackberry Curve owners have been running 5.0 from other carriers or hybrids for the last 10 months. Thats how behind TMO is with their OS releases. Cliq owners, I feel your pain! “amazing g2” Yeah right try iPhone4 for AMAZING you moron. The iPhone is not the only great phone. Why are you calling the poster a moron? no thanks, im not a big fan of dropped calls and holding the iphone in a different way to just make a simple call. Why would you even talk to someone like that? Umm, I have a bberry curve 8900 and its not letting me update… It says no update available. You have to do the update through the BBerry Desktop Software. I’m still waiting for the OS 6.0 for my BB bold, it looks promising and I can’t wait!!! Did the update, it took 3 hours to install and reboot. I tad bit ridiculous when compared to updating my N1 to FROYO 2.2, that took about 10 minutes! Can someone do a review of the curve 8520 or 8900 running OS 5 please? I prefer both cause I want to see how well they work with my eyes. I don’t have any friends that use any kind of BB’s or those BB’s so I really don’t know how they are like. I’m looking for a Blackberry to suffice me until my upgrade till the end of next year. I would also like to hear your opinions about which is better? 8520 or 8900? I work well with both trackball and optical track pad (Definitely diggin’ the track pad, though). Don’t forget to give me some specs. Oh, & I have T-Mobile! Loaded 5.0 on my 8900. Now the mute button/standby function does not work. In fact, “standby” is no longer accessable even thru the options. (I dont notice a speed difference. The hassle of resetting all 3rd party apps, reinstalling “add-ons” and the loss of standby made this a waste o9f time for me. Stick w/ 4.6 until something worth while comes along..
Sweet! I can finally update my 8900! I have 4.6 and if I upgraded thru a leak, I would have voided my warranty and insurance. This update is actually worth getting…I had been running the oldest version of the phone since the other updates didnt have much of a change..I decided to try this and its great..I recommend getting it. The phone runs a lot smoother and seems as if its a new phone. No more time clock when it lags. And I find it funny that guy called you a moron. He’s the moron for thinking the iphone is amazing..Im getting the G2 as well! Tried the update several times, thought the Blackberry Desktop program and not luck. My 8900 will not accept the update and I get fatal error every time. No thanks. Already did it to the wife’s curve and it killed the ring audio. We ended up doing an exchange. My last contact with T-Mobil, Blackberry division, they still had no real fix and wanted to try the same things I’d tried before. I explained this to them and they conceded it would most likely be fruitless. I told T-Mobil (understanding this is NOT the fault of them or other carriers!) that I would like a new phone – something NOT BLACKBERRY. At this point the best they can offer is to replace my existing Blackberry with another, same model but previous release of the software. I told them I would accept that — for now — but wanted it noted that I would like/prefer a different NON-BLACKBERRY phone. Over the past four or five years, I’ve owned and used several Blackberry phones and genuinely enjoyed the features and reliability. Sire, there were issues, but nothing major and all quickly and satisfactorily addressed. This latest issue was distressing enough, but more so, the way Blackberry has (NOT) handled it. There are other, comparable phones out there! — Those phones too will make changes that are unwelcome or difficult and will assuredly have their own issues. However, it is difficult to conceive of any other companies handling/responding to a widespread issue as poorly as Blackberry has with 5.0.0.822. I am amazed and most disappointed that this issue has persisted so long without a satisfactory resolution or ACKNOWLEDGEMENT from the vendor, Blackberry! Rest assured, this is the LAST Blackberry I will own. Since I upgraded mine from 4.7 to 5.0.631 to 5.0.822 the phone has gotten progressively better….Desktop 6 updated me to .822 as soon as I hooked it up the first time…before TMO’s release came out. I can now patiently wait for my 9780 when it comes out, or get a Torch and unlock it, and hand the perfectly fine 8900 to my wife.